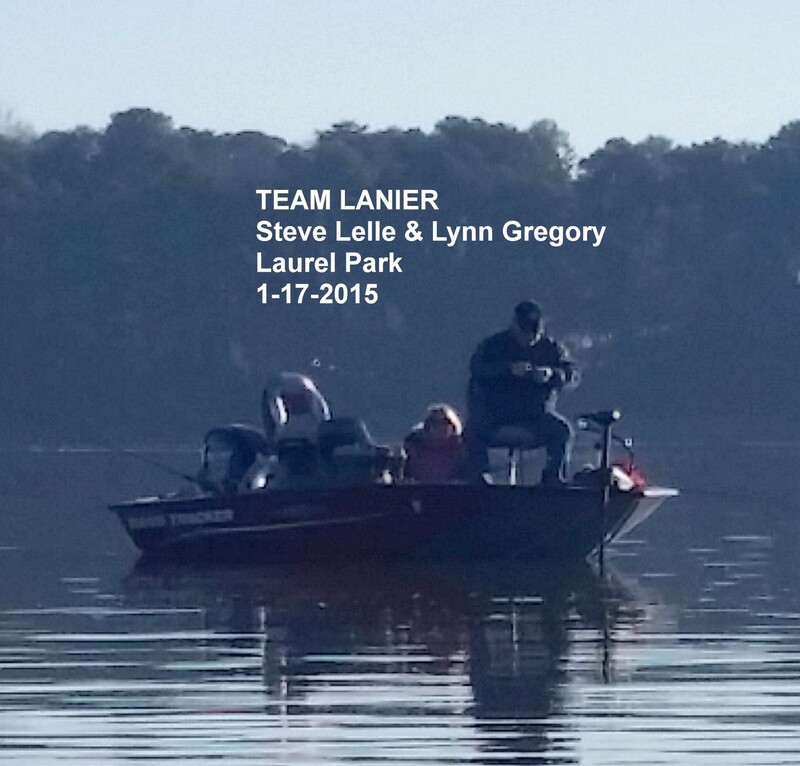 Team Lanier at Seed Lake, no Burton Lake, no Rabun Lake!! 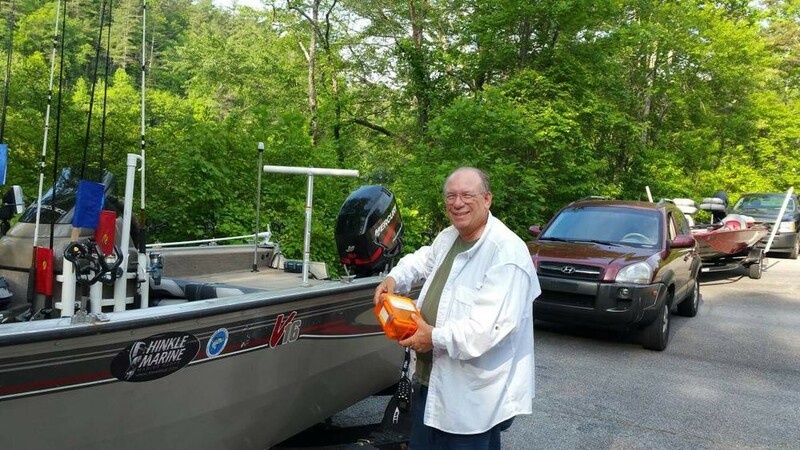 Four boats from Team Lanier set out early Saturday morning May 16th to fish for Brown Trout, Walleye, Yellow Perch, Bass, Bream & Blue Gill at Seed Lake. Three boats met at the Racetrac on Hwy 365. We left for the lake hoping that our fourth boat would eventually catch up. We made it to the ramp at Seed Lake only to find that it was closed due to the lake level was 4 feet over full pool and the courtesy dock was under water. 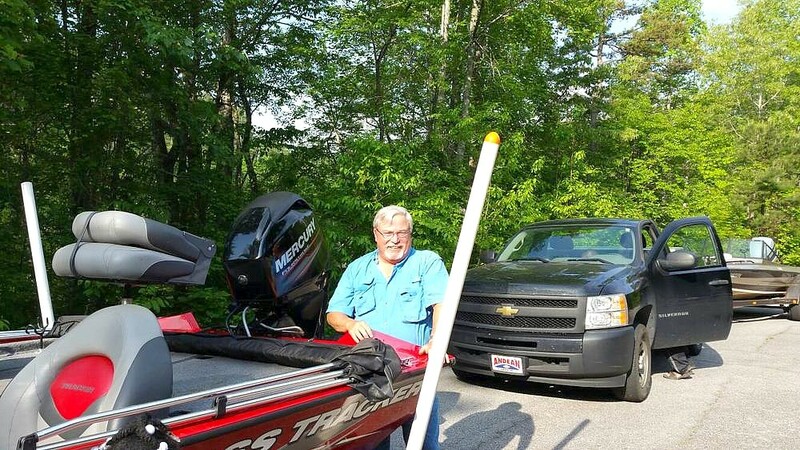 We decided to keep going and head up to Murray Cove at Burton Lake just a few miles up the road only to find out that there was a bass tournament which took up all of the parking spaces. Still not giving up we decided to go to Rabun Lake which we past earlier when we first turned on the road to Seed Lake. The fourth boat was finally near us so we decided to pull over onto a parking area off the main road. 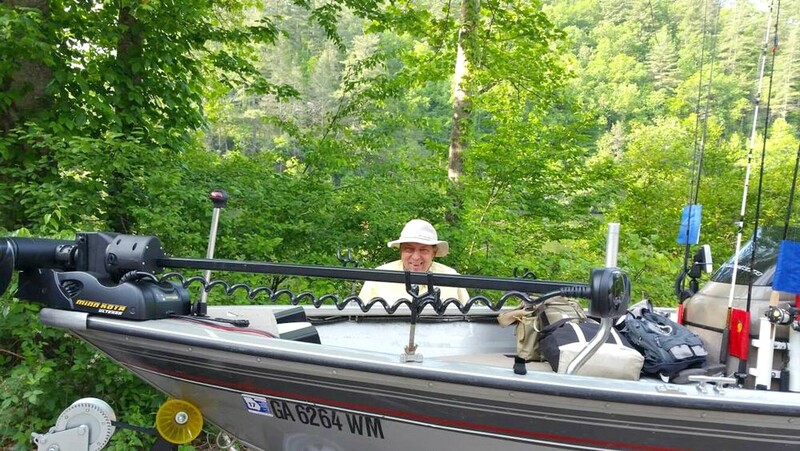 While waiting for the fourth boat to arrive, we gathered to discuss our game plan for the next lake, which was Rabun Lake. It was then realized that one of us had locked the keys in our vehicle with it running. 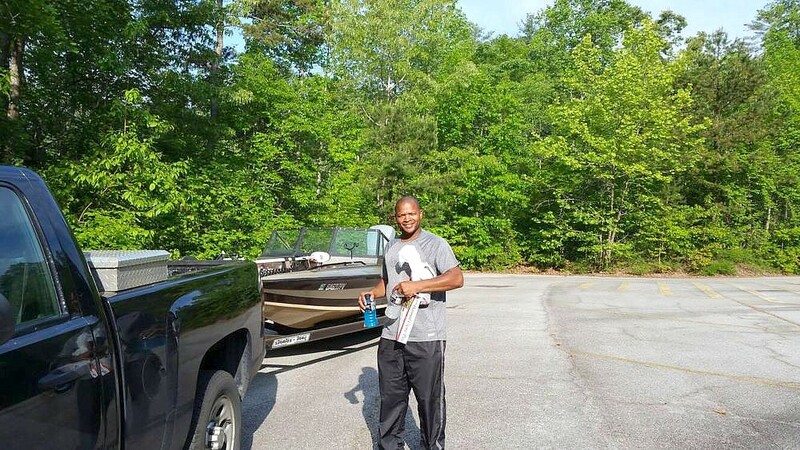 When our fourth boat arrived he was positive he could get into the vehicle (Go Team Lanier). I borrowed a coat hanger from a nearby house and the door was unlocked in a very short time. Finally on our way to a lake we didn’t know anything about, my partner discovered that he had an old marked map of Rabun Lake in his fishing bag. We shared this information with our team then went fishing & catching Yellow Perch, Chain Pickerel, Bass, Blue Gill & Bream. What a great day on the water in the mountains with Team Lanier. 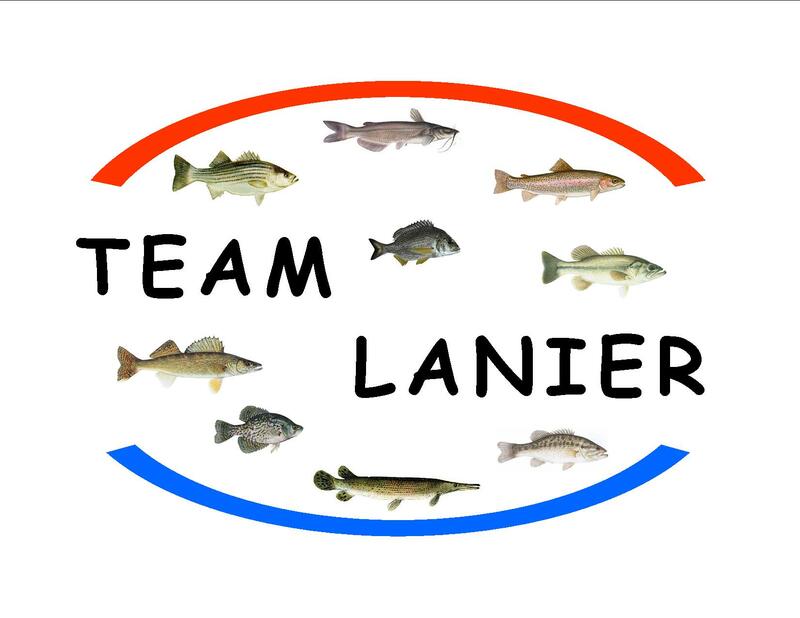 Team Lanier went back to those hard hitting hybrids from last week. We had another great day boating several. 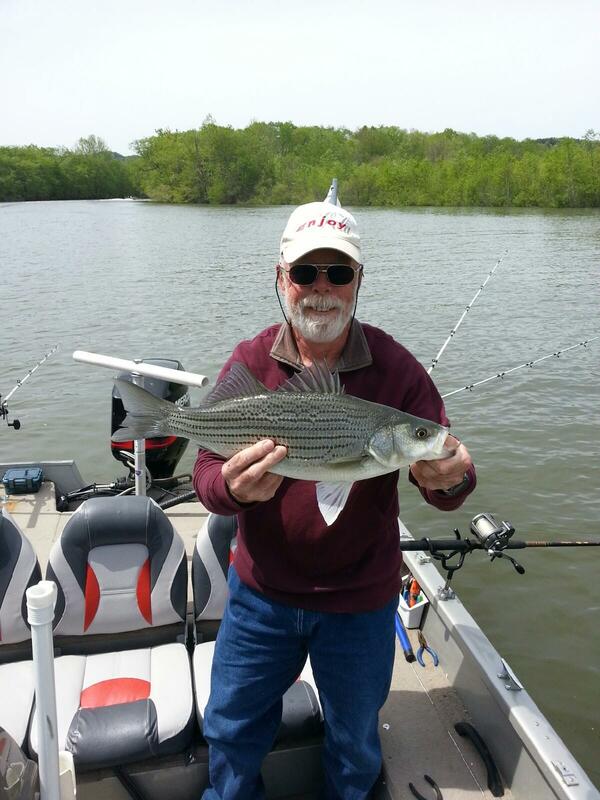 Most were small in the 4lb range but three were 6lb plus. We did manage to get in a spotted gar too. Only saw 3 boats the whole day and on a Saturday no less. 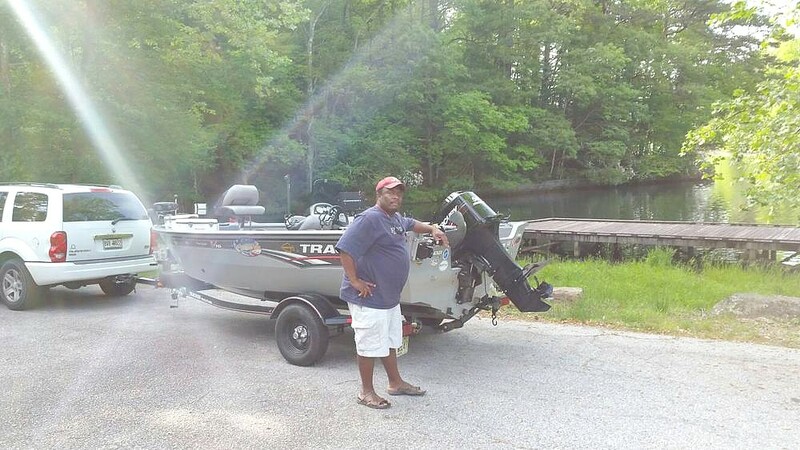 Team Lanier had a great day on Lake Hartwell today fishing with Bill Chasey of Buford GA. We caught and released 22 Hybrid Bass in five hours fishing the Tugalo river almost to Yonah Dam. Among the countless water releases which didn’t stop our trek heading up river to catch these hard hitting fish, we caught a fish about every 13 minutes. 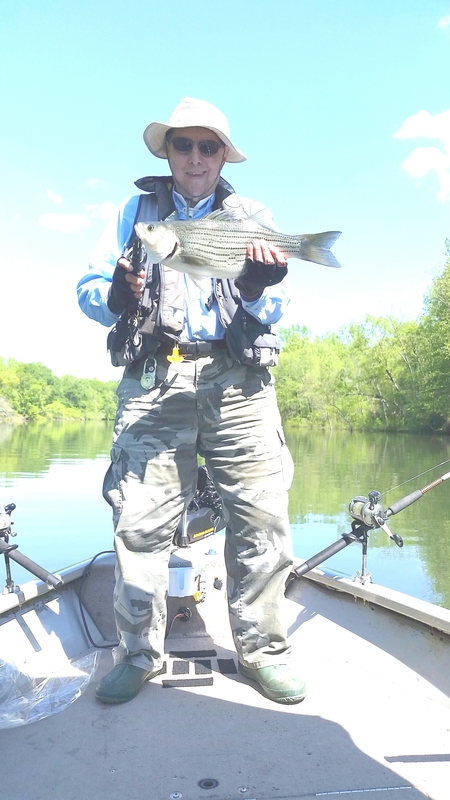 We did get a triple but we were only able to get 2 fish actually in the boat as it was like a Chinese fire drill with downrods going down all around the boat. 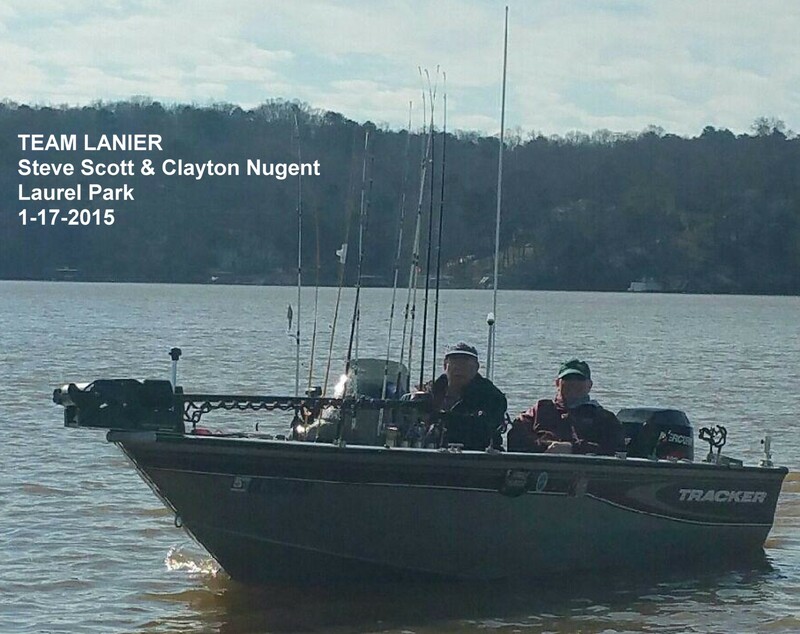 Team Lanier assisted Captain Lynn Gregory in the Oakwood Striper Club tournament today. 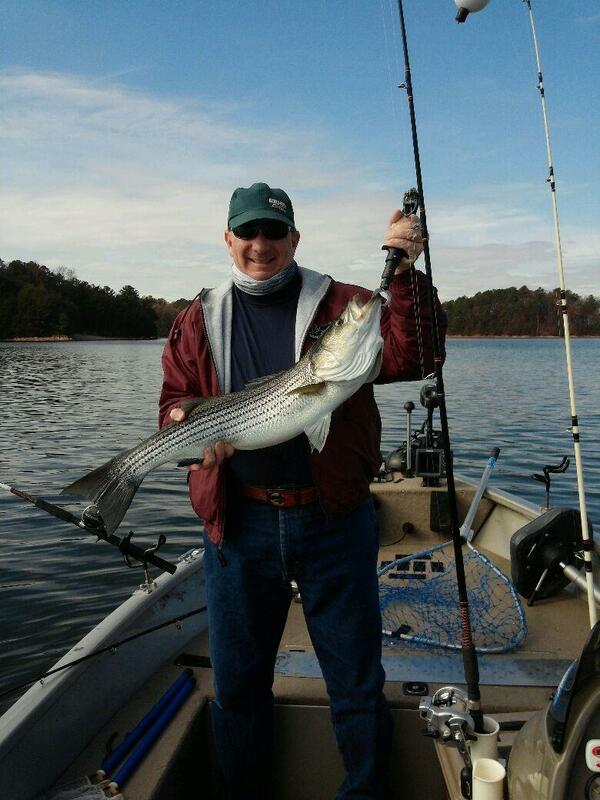 A 33 1/2″ Striper was caught on a red diagonal cork with a blueback herring over an 80 ft. bottom under heavy mist. The water temperature was 50.5 with a variable wind. 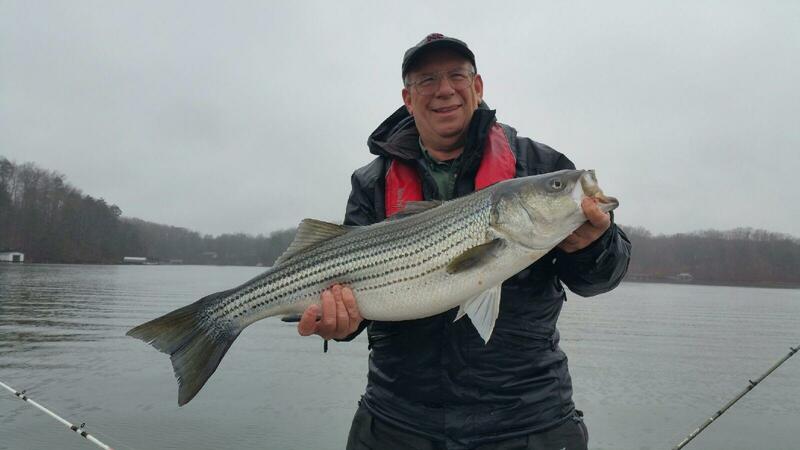 Several chunky Spots were also caught.